When wound up he will move flip or jump around. 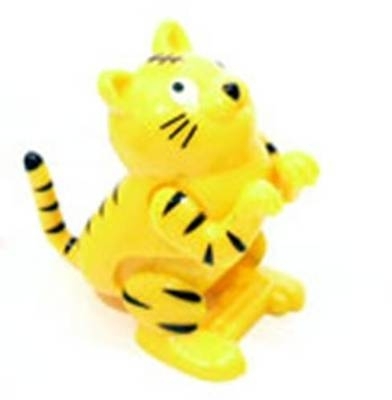 A high quality Wind up Toy is made from plastic and when wound up he will move flip or jump around. This item is CE marked and is not suitable for children under 3 years due to small parts.